Many forex traders have some experience trading commodities, especially gold and oil. With IQ Option, traders can trade these two commodities plus corn, copper, wheat, silver, platinum, gasoline, and platinum. (More commodities will be available in the future, though). 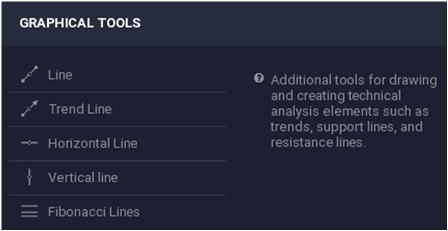 Let’s see how these instruments can be traded conveniently on IQ Option’s web, desktop, Android, and iOS platforms. * The commodity CFDs that are available can change from time to time. Some instruments may be removed or added to the list. Hard commodities are not perishable and are natural resources that are mined or extracted. Examples are crude oil, natural gas, gold, coal, silver, palladium, platinum, iron ore, titanium, copper, and uranium. Soft commodities are primary agricultural products like orange juice, wheat, corn, cotton, coffee, sugar, rice, soya, lean hog carcases, etc. Most investors are unable to speculate with physical commodities because they do not have the infrastructure and capital to transport, store, market, and sell it again. However, with commodity contracts for difference (CFDs), even small speculators / traders can partake in the commodity market without the headache of having to handle the physical commodities themselves. A contract for difference is based on the value of an underlying commodity, which means that a person who trades it, speculates purely on the value of that commodity, without ever taking physical delivery of it. Commodity CFDs can usually be traded with leverage, which means that it is not necessary to put down the entire notional value of a CFD transaction, only a portion of it. 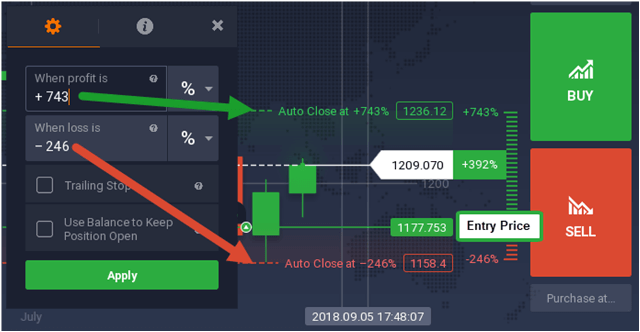 TRADERS HAVE THE OPTION TO TRADE WITH ONE-CLICK EXECUTION OR WITH PRECEDING CONFIRMATION. If a trader shorts (sells) a commodity and the price moves lower, he will profit from the move lower, just like a trader who goes long (buys) gains from a move higher. Commodity CFDs are available to clients from the European Union and to non-EU clients. The leverage with which these groups can trade it, differ, though. For clients outside of the European Union and pro EU traders, the leverage is up to 1:150. Retail traders from the European Union (not pro traders) have access to leverage of 1:20 on gold and 1:10 on the other commodities. 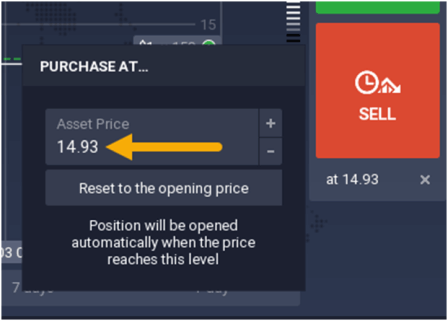 These traders can only use these leverage settings (higher or lower settings are not available). 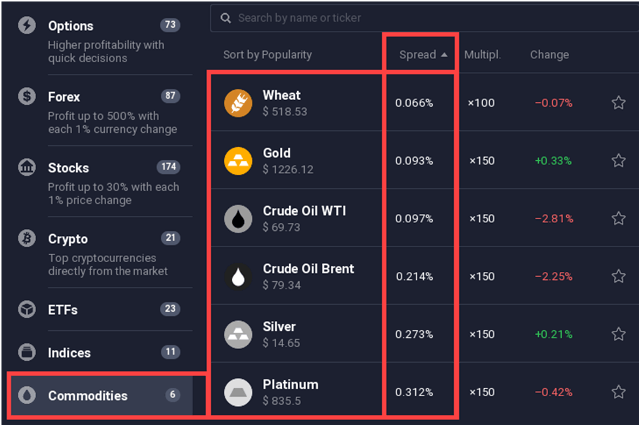 AN EXAMPLE OF THE COMMODITY SPREADS ON IQ OPTION’S TRADING PLATFORM. IQ Option’s commodity spreads start from about 0.066%. These are floating spreads that change according to market liquidity, news releases, and other factors. The different commodities have different trading hours, with some being available for about 23 hours a day, 5 days a week, and others being available for only 4 and a half hours a day, 5 days a week. Traders can place pending orders on commodities, even when the market is closed. 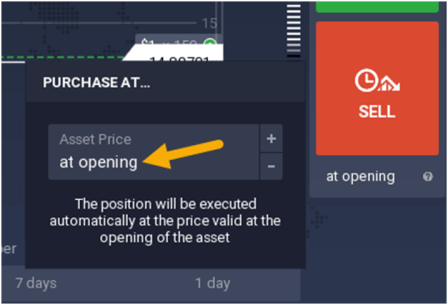 These orders can either be executed at the first opportunity (at the first available price) when the market opens, or at a price specified by the trader. Pending orders can also be placed during market hours. A pending order is executed as soon as the price of the particular commodity reaches its level. In this example of a long(buy) trade on gold, the entry price is at 1177.753, the stop loss (red dotted line) at 1158.4 (-246%), and the take profit (green dotted line) at 1236.12 (+743%). With a small deposit of only $10, individuals can start trading commodity CFDs with IQ Option. The minimum investment amount is $20. Special widgets (Other Traders’ Deals, Traders’ Mood, and High and Low Values). 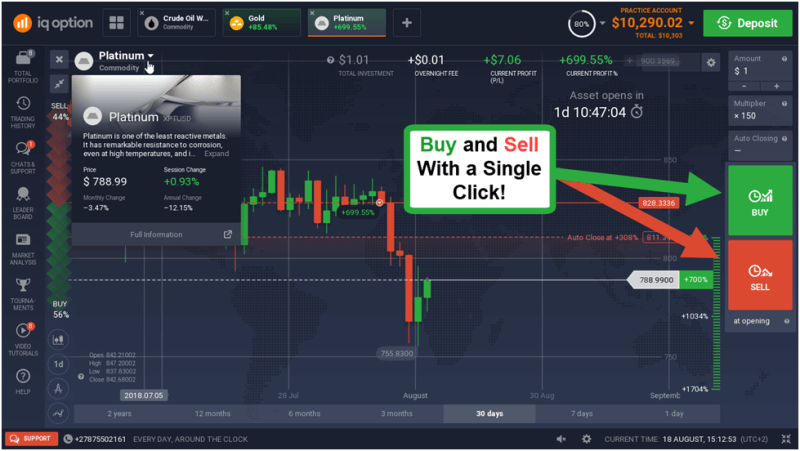 IQ Option offers a solid demo account with all the features and trading instruments of a real money account. This demo account does not expire and traders can seamlessly switch between real and demo accounts. SWITCH BETWEEN REAL AND DEMO ACCOUNTS IN THE BLINK OF AN EYE! Demo account balances can be topped up at any time, which is also an applaudable feature. 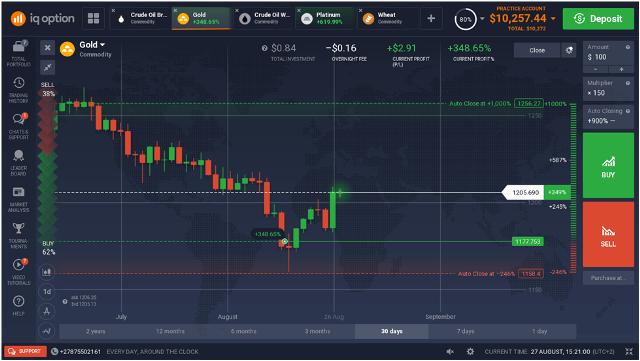 With the different commodity CFDs available at IQ Option, traders can partake in this massive market with the convenience of an excellent trading platform. 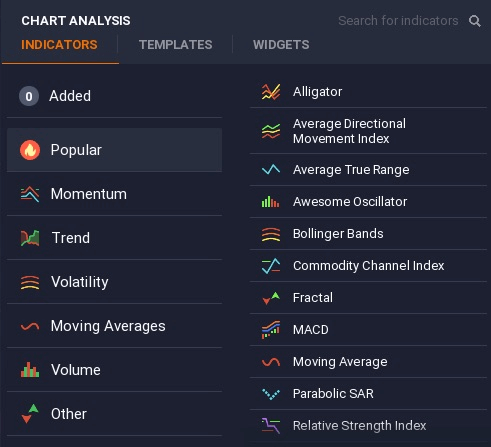 All the trading tools, indicators, widgets, and other platform features are freely available to all clients. And of course, traders always have access to IQ Option’s customer support team who are available 24 hours a day, 7 days a week.